Tour: Discover Egypt in 2 weeks. I waited way too long to do this, so hopefully with my 500 characters, I can make it count. Melad was by far my second best decision during my Egypt trip, my first was actually going to Egypt. I've always wanted to visit this beautiful country and the monuments, and Melad knew everything there was to know, made me feel at home and like a brother, and went so far out of his way to help organize an early return that he's earned my complete respect and recommendation as a gifted guide! TOUR GUIDE RESPONSE: Yes you took long time to rate this tour but at last it came very great comment. Thank you very much dear Tim for your kind words. 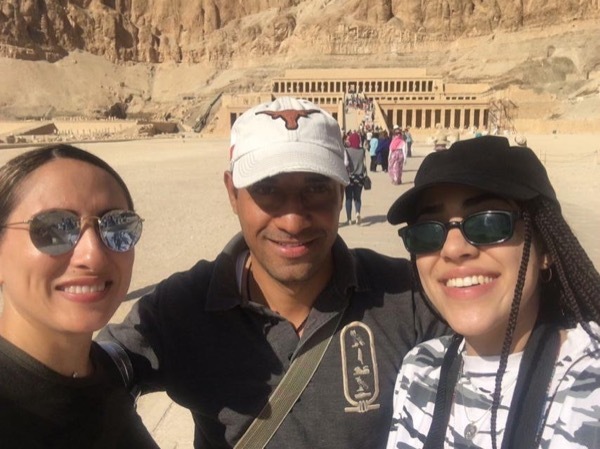 It was really big challenge to me to make a sudden rearrangements of 2 weeks tour in Egypt to be shortened only into 5 days but it would not work without your co-operation. Thank you again and i look forward to meeting you again.